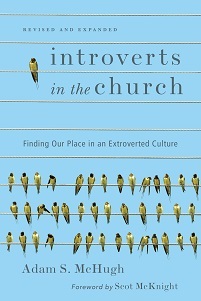 In some circles, introverts may be tagged as unfriendly or detached, but in many Christian circles, our personality tendencies get more devastating labels: prideful, sinful, lacking in love. These charges only exacerbate our feelings of guilt and spiritual inadequacy. When a friend of mine critiqued my preaching style, he said that I presented people with complex ideas to sink their teeth into, but that when I turned to discussing community and relationships, it felt strained. 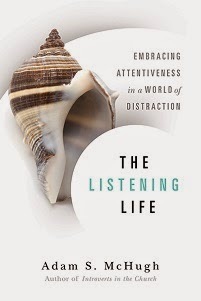 These same patterns emerged in my conversations with many of my fellow introverts. I marveled at the insight that they possessed about the contemplative life and their eloquence in discussing the nature of God. Their fluency in those areas served to underscore the awkwardness of their communication once we moved into discussing relationships. The ease of the speech devolved into stuttered frustration and sighs that conveyed both longing and feelings of helplessness. Introverts may choose fewer activities and fewer relationships than extroverts. Our picture of community may be less of a crowd of people and more one-on-one interactions with a few close friends. And even though we greatly desire depth, we may be turned off by structures that foster, what feels like, artificial intimacy.